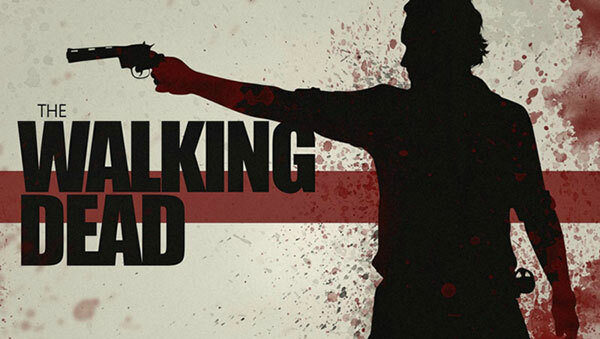 The Walking Dead is more than a zombie show featuring Daryl Dixon’s cutoff flannel shirts and Carl’s 21st century insensitivity — it’s about personal relationships, mob mentality, and a few elements you can incorporate into your company’s branding campaigns. We love TWD at Grammar Chic. It’s a ritual for many of us, sitting down to watch characters we’ve grown close to survive in the wild and wicked world they fight through every day. But whether you’re a die-hard fan, have never seen a single episode, or would prefer the role of a walker, the cast reflects a number of marketing successes and failures that easily translate into today’s world. Rick: Rick’s flip-flop role as a leader has hurt his reputation among the other survivors. They all know what he can do, but his hesitancy and overalls (it’s a farmer joke?) have made him weak. He is stuck trying to be a father, a survivor, a leader, and a pacifist — how can a brand expect to survive by playing all of these roles? Daryl: This crossbow-wielding hero became a fan favorite right out of the gate. His originality, convictions, touching monologues (re-watch “Cherokee Rose” and try not to tear up), and all-around badassery sheds light on the most important aspect of branding: Principles. He knows what he wants and does it. Daryl doesn’t need to be told — he acts. It’s not too late to be more like Daryl and market like you mean it. The Governor: The Governor has an “eye” fixed on the future. He wants consistency in Woodbury, peace, safety — three things he failed miserably at. Why? Because he’s a psychopath. He wants the unobtainable and doesn’t understand that other people (i.e. consumers) have their own wants and needs. When marketing, you have to balance your business’ goals and meet demand in the middle. Lori: Also known as the head-in-the-box co-star of Prison Break, Lori adds a motherly element to TWD. She, however, teaches marketers the key element behind any campaign: Your actions dictate the opinions of others. What you say about yourself (i.e. your company) means everything, but what you do can have lasting repercussions. Businesses have to consider the partnerships they make and the company they keep (*cough* Shane), because the actions of others, as well as your own, can bring your brand down. Shane: Don’t be a Shane — enough said. I’ll sum up Carol, Michonne, and Carl as a whole. These characters are definite side-effects of the times, each struggling to find a place in the zombified world. Michonne takes on walkers with a one-edge approach that works, though she lacks the sociability to draw any other survivor’s sympathy. Carol has adapted well enough to Z-day, though her judgment is clouded by sacrificing her humanity for those she protects. When branding, you have to keep everyone’s wellbeing in mind and find middle-ground approaches that don’t end in flames. Carl? Our little cowboy is just trying to evolve. He knows what is expected of him in this new world and would do well in a zombie-business sense because he understands it better than most. It took Rick a few episodes to coin the term “Walker” and figure out that A) They are bitey and B) Have a flesh fetish. These walkers are a bit less civilized and decayed than your average consumer, but there is still a thing or two to learn from the show’s reanimated corpses. Like the living, walkers respond to stimuli. Noise and smell do the trick when it comes to unwittingly attracting them. You, as a brander, social media aficionado, or marketer, understand that every consumer reacts differently to incentives, but nonetheless all react. You need to find your ideal walker (i.e. client or shopper) and learn what they love. Is it deals? Witty social media? Free cheese samples on rainy Sundays? Your ideal, repeat customer is the one to focus on. Like a herd of walkers, once you figure out how to maneuver the one, you’re able to tap into the many. This mob-marketing mentality applies to every industry and, like when clearing out a prison yard, it’s more efficient to take a direct hammer-to-the-head (We’ll see about you, Tyreese…) approach than it is to surgically initiate specific brain-bashing strategies for every walker. This method fits social marketing perfectly. Crowd hashtags like #OneLeggedHershel were a big hit. Why? Because it was crude, accurate, and insanely viral. It, like other episode tags, was initiated by Chris Hardwick, the host of that one show DVRs don’t record after The Walking Dead. The tag, while gruesome, tapped into viewers’ imaginations and gave them something to say about the current episode. Jokes like “Will Hershel die? I’m stumped” and others surfaced at once, though TWD did exactly what you should do for your own media campaigns. It wasn’t afraid to try something new and current. Between The Talking Dead, iOS and Android apps, AMC’s Story Sync (the follow-along 2nd screen experience), and participation between cast and crew in social media, TWD has a multi-pronged approach to engaging its fan horde. Though it has teams to handle this marketing load, it isn’t impossible for you to expand your own tactics to reel in more followers and fans. Think of it like a prison or, if you’re not that far in the series, a farm or an RV: How do I get along with everyone, avoid getting bitten from an online reputation standpoint, and brand myself? Does this mean becoming a Dale and trying to micromanage everybody at once? Or the Daryl approach of simply getting the job done? It’s up to you, really, on how you’re going to help your brand survive.